Is your home looking a little too lived in and you need to get it clean fast? Or maybe you have been super busy and would just like to relax but can’t until the home is no longer a disaster. Have some guests coming over and want their visit to be as comfy as possible? 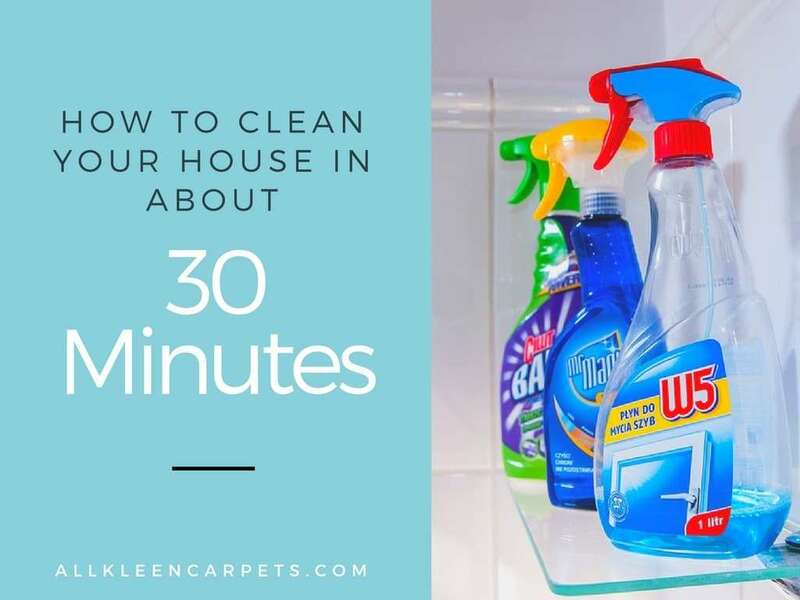 We have some quick cleaning tips and tricks for you to get your home clean in no time. Spray down all surfaces from the sink to the mirror to the toilet to the shower and even the floor with cleaner. We like a nice natural germ killing vinegar that can work on all types of surfaces even glass and mirrors. Let the cleaner sit and break down grime while you tidy up items on the counter. Once the counter is clutter free spray it too. Wipe down surfaces starting with the cleanest surface to the dirtiest. A good tool for this is a paper towel or microfiber cloth because they can get into crevices. Put a little extra elbow grease in where tough water stains tend to happen like around drains. Turn your attention to the toilet. Clean the bowl first and then move on to the seat and outside of the toilet. Use cleaning wipes that you can quickly wipe with and toss away. Surface clean. Use a cleaning wipe or cloth sprayed with cleaner to do a quick wipe down of the stovetop, counters, table, and fridge shelves and door. Scrub the Sink. Spray it down and then scrub with a sponge to quickly get grub gone. Clean the Microwave by heating a bowl of water and vinegar for 30 seconds to loosen caked on food gunk then follow with a wipe down. Get a large basket or two. Place everything that does not belong in the living room in here. Get a slight bit more organized with it and get a basket for each room that things need to go to. Take the baskets to their rooms. Catch those dust bunnies. Put on a microfiber mitt or make use of that dust attachment on the vacuum to quickly wipe dust away. Remember to work from top to bottom. Clean higher up surfaces first as they will drop dust down to lower surfaces. Grab the vacuum. Do a quick run over the furniture and then the floors to get all the remaining debris in the room. Hang up coats and backpacks or anything else that may get dropped at the front door by family members. Make sure shoes get into a bin, boot tray or basket. Now that your house is tidy and fairly clean it is time to turn your attention to what you really want to be doing. So go enjoy your life and your freshly cleaned home! For the really deep down dirt in your carpet, upholstery and tile All Kleen is here to help get your home like new again. Make an appointment online today. It’s even faster than speed cleaning!